I don’t think I’ve ever met a kid that didn’t like LEGOS. Even I grew up playing with them, and they just keep getting better and better. With four kids between 4 and 11, it used to be that we only had easy and hard sets to choose from. 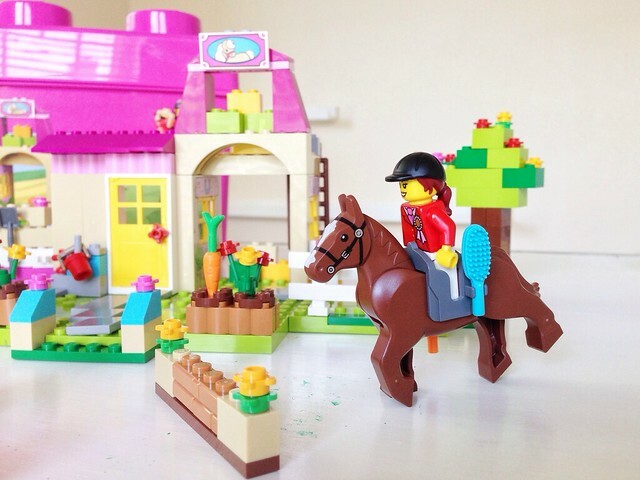 Now LEGO has introduced LEGO JUNIORS, for the in-betweeners, and even my four-year-old can join the big kid play. 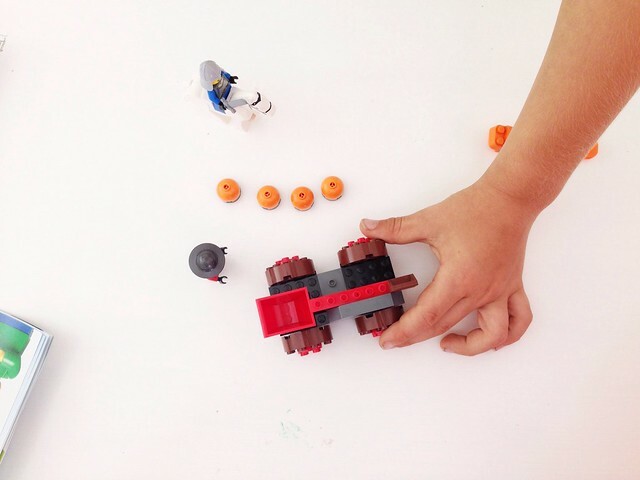 The new LEGO® JUNIORS are designed to give children age 4-7 a great first experience with LEGO bricks through iconic, fun and easy to build models. 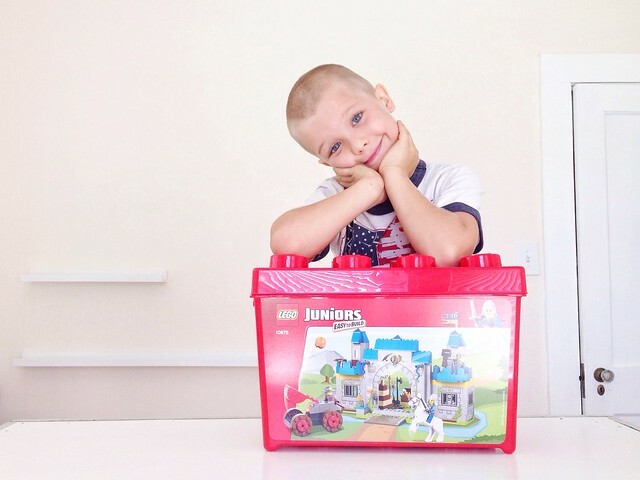 LEGO JUNIORS sets contain quick start elements and numbered pre-packed bags that can be built without help from Mom or Dad – which makes any small builder extra proud. Check out how easy it is for my four, six, and seven-year-olds to jump in and play! The biggest difference I noticed with my kids and LEGO Juniors was how much easier it was to make the sets themselves. My seven-year-old still enjoyed the smaller pieces, but had fewer questions than he usually does when building a set. And he loved not having to mess with hard-to-place stickers. My six and four-year-olds worked wonderfully together as a team. And with the easy-to-read instructions and a simplified design that’s compatible with regular LEGOS, they were able to build the set almost completely independently. Making and playing are a critical part of a child’s development–it’s how they discover and learn about the world! 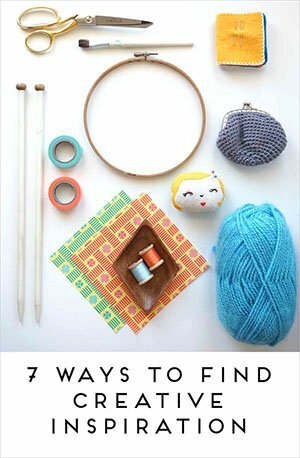 Making is the simple act of doing. It is both a physical experience—being hands on—and awareness that the world is constantly being built and rebuilt. In order to develop as creative thinkers, children need opportunities, stimulating environments and engaging materials to make. Offering our kids age-appropriate supplies is an important part of the journey. 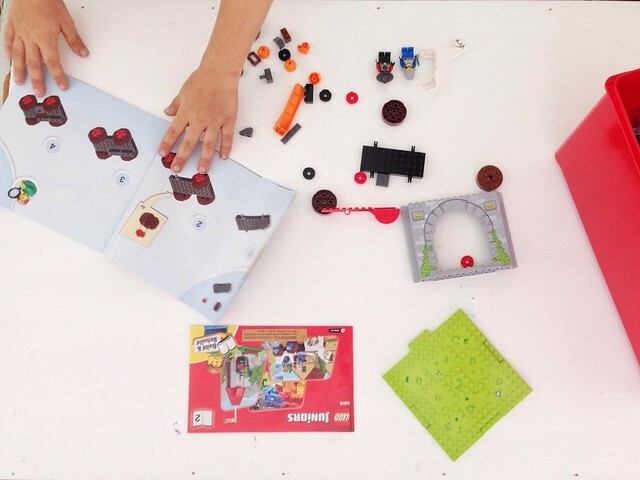 Materials like LEGO® JUNIORS bricks set kids up for successful, non-frustrating, experiences for them to make and re-make. And this mama is all about making! LEGOS are the one toy we have the most of in our home. 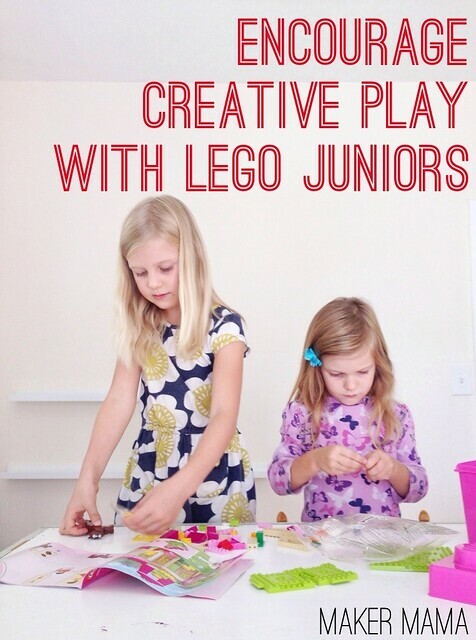 The kids can play for hours building their own creations and immersing themselves in imaginative play. My littlest one can work on her fine-motor skills, as well as conceptualizing size, shape, and color. And they can all develop their inner maker abilities. I love the getting along with each other part, too. 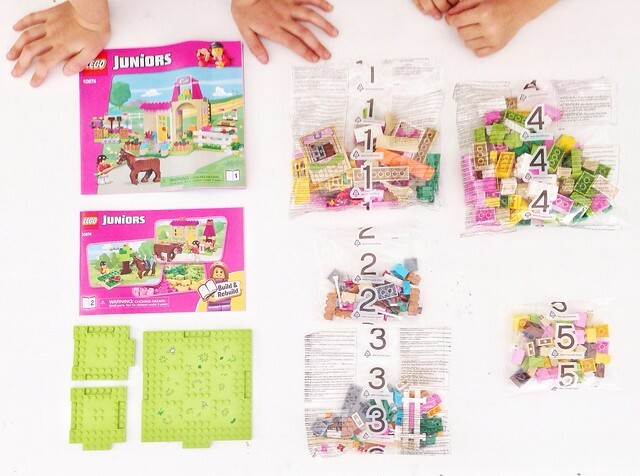 LEGO JUNIORS would make a perfect gift for any kid’s party or holiday–or even as part of your homeschool/afterschool education! They’re definitely part of our everyday play, and they will be a favorite for years to come. 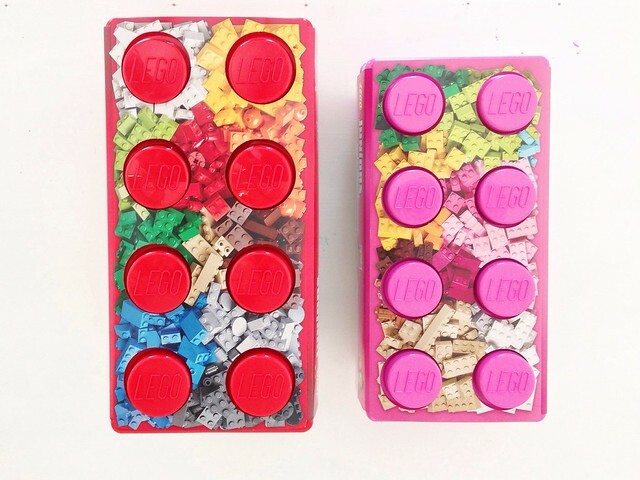 Who’s the LEGO-lover in your family? Did you grow up playing with them too? P.S. 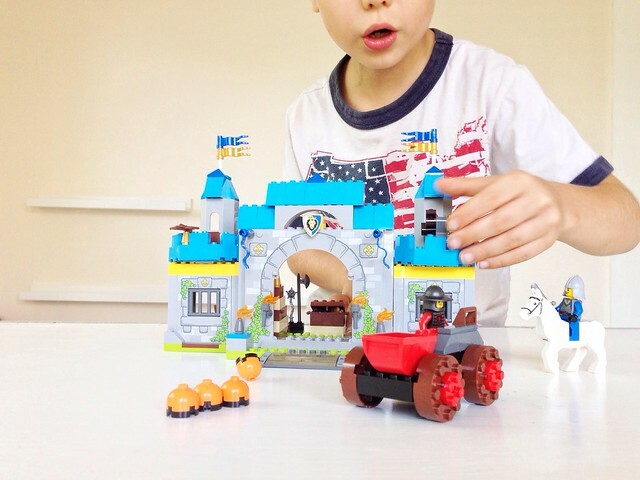 My kids also love the LEGO Movie Maker app to bring their stories to life! P.P.S. My girls played with the Pony Farm and Liam built the Knights’ Castle.